Federal Housing Authority notifies lenders that they will back mortgages for buyers who filed for bankruptcy or lost their home during the recession. In a bold move that is sure to hasten home sales, the Federal housing Authority (FHA) notified lenders that they will shorten the wait time for home buyers who previouslyFHA shortens wait time for bankrupt buyers to purchase a home filed for bankruptcy or had been forced to short sell their property in an effort to avoid foreclosure. The wait time has been changed from two years to one. However, this qualification is not automatic. Buyers who fall into this category must prove that their hardship was a direct result of the economic recession by being able to provide information to show their income was reduced by at least 20% for a six month period or longer, and that they have fully recovered from that event to be able to qualify financially for their specified loan amount. Buyers under this program must also complete housing counseling before they can qualify. This is a great opportunity to buy a home! This news greatly affects those previous homeowners who felt the pinch of the great recession but are now rebounding financially and looking for a way back into home ownership. This news also comes at a great time when the housing inventory is beginning to loosen up enough for some sellers to actually have to negotiate with buyers (Compared to a few months ago when inventory was so low that it was “anything goes” with seller demands). You may now have the opportunity to take advantage of the rising market by purchasing a home and once again build equity in your investment. Montemayor & Associates have the answers to all of your real estate questions. You may have had to short sell your home in an effort to avoid foreclosure, and it is understandable that many distressed homeowners also had to file bankruptcy in order to stay afloat through the tough economic times we experienced. If you’ve been able to rebound, there is no reason you need to wait to get back into a home. 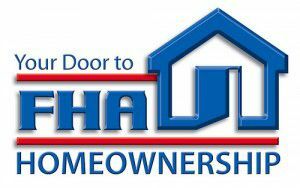 Contact Montemayor & Associates to see if you qualify under this new FHA opportunity.